Self-assessment quizzes, worksheets, and complete Desire Mapping tools for creating the life you truly long forGoal-setting just got a makeover. 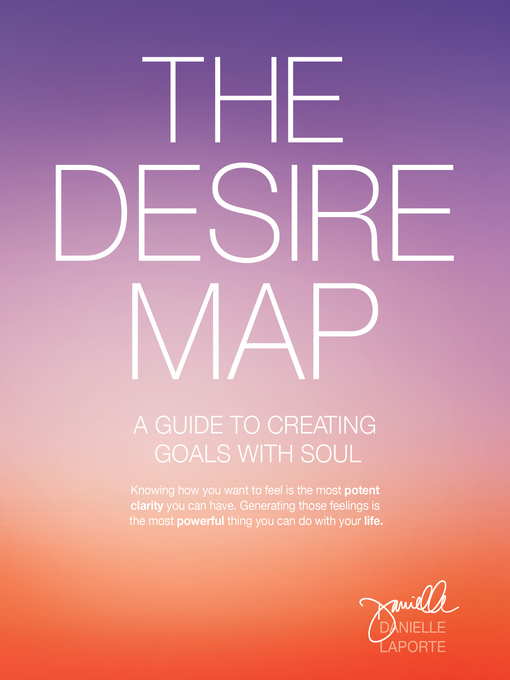 There are more than 10,000 “Desire Mappers” who have worked through this system. “Every day I get stories about inner clarity, quitting jobs, dumping the chump, renewing vows, pole-dancing classes, writing memoirs, moving on,” says Danielle. “This is about liberation. And pleasure. And self-determination. This is about doing much less proving, and way more living.” If you’ve had enough of trying to trick yourself into happiness through affirmations or bucket-listing your hopes into some distant future, then you’re ready for The Desire Map—a dream-fulfilling system that harnesses your soul-deep desire to feel good. This entry was posted in eBook Friday and tagged nonfiction, self-improvement. Bookmark the permalink.